Those early days of sobriety can be quite challenging. I still remember them clearly, as I was painfully white-knuckling it through each day. The time from returning home from work to the time that I went back to work, was the hardest part of the day. My anxiety levels were through the roof. I wanted to drink all the time. I could not think rationally and I was extremely fidgety. Nevertheless, I pushed on through and after the initial week of mild alcohol withdrawals*, the haze started to lift, and I began to feel better. Much, much better. The very first month of sobriety is often filled with many changes, some very pleasant and some not so much. The good news is that it gets better and you really start seeing all the positive aspects of quitting drinking! What helped me the most was to focus on all those positive changes more often, and little by little my life was coming together. 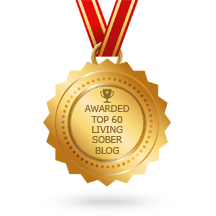 I found lots of support and attended meetings and started to learn how to live a sober life. There were many things that I learned early on. Because when I was no longer drinking, I was able to notice more things about my behavior and patterns and the world around. I think what really stood out was that I was actually drinking way more often and more amounts than I thought. This was quite a revelation since I thought for a long time that I drank just like everyone around me. Another one was that I noticed that most people actually get up on Saturday mornings and do stuff instead of sleeping until the late afternoon! Ha! Of course the longer I was sober the clearer things were becoming and I was learning more and more. So here is my list of the things I have learned in early sobriety. I hope they will help you along your journey to sobriety too. It is really nice to wake up without a hangover. Alcohol is not your best friend, but your worst enemy. Bad days happen, just like good days. This is a part of life. Doing something for the first time without drinking is the hardest. Going to events that will include drinking can be quite difficult at first. Isolating is a sure trap and a possible trigger for a relapse. It is amazing how much more productive you can be when you’re not hungover. It is none of anyone’s business why you are quitting drinking. Life is definitely not as awful without alcohol as you might have imagined. Not drinking is often harder than you think. This is really not the worst thing that could ever happen to you. Practically everything around you can be a drinking trigger. The cravings for alcohol can be quite overwhelming. You are not the only person in the world that does not drink. You are far stronger than you think. No matter how you get sober, or what program you follow if any, take good care of yourself. You have been unwell for a while and it may take a while for you to get better. However, if you continue to stay sober, you will start to see the changes in your life! You will not only be sleeping better and feeling better but you will also have a whole new outlook for your future! So keep moving forward and don’t look back! 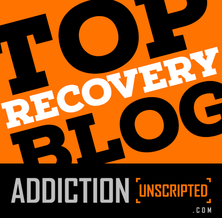 *Important note: If you choose to start the path to recovery, and if you have been drinking large amounts of alcohol for a long time, it may be best to see a doctor or check into a detox center, or your local hospital. Do not try to stop drinking suddenly — alcohol withdrawal can potentially be deadly. If you start experiencing severe withdrawal symptoms (panic attacks, rapid heartbeat, severe anxiety, the shakes) you should seek immediate medical assistance. The condition could potentially deteriorate to Delirium Tremens (DT’s), which can be deadly if left untreated. Oh, definitely one of my favorites!